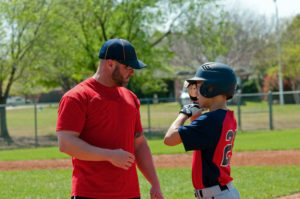 Child athletes are being placed under increasing pressure to perform in competitive sports year round. As their bodies are still growing, this added stress can often lead to injury. One of the most common injuries in young athletes is a tear in the ulnar collateral ligament of the elbow, especially among children who play competitive baseball. This injury leads to Tommy John surgeries. The Tommy John surgery was named after the major league baseball player Tommy John, who was the first to have his elbow repaired using this surgery. Tommy John surgeries were once only seen in the major leagues, but today about 60 percent of those receiving this surgery are under the age of 19. Such surgery during the growth years of 15 to 18 can be detrimental to children. The injury and resulting surgery can result in limited use of the arm as well as the need to leave sports entirely. Luckily, there are some alternatives that some doctors aren’t discussing. PRP therapy and stem cell therapy can both be used to treat this elbow injury and avoid surgery. Not all orthopedic or sports medicine physicians are using these techniques. However, they have both been found to be effective in the treatment of ligaments and to speed healing and avoid surgery. PRP therapy is platelet rich plasma. Blood is drawn from the patient, which is then placed in a centrifuge to concentrate the platelets. The concentrated platelets are suspended in the patient’s plasma, then injected into the site of the injury. Stem cell therapy is similar, with stem cells being harvested from the patient, usually from bone marrow in the hip. If your child has suffered injuries from competitive sports, contact our offices today for an appointment. We use surgery as a true last resort, and can often get your child back on the playing field faster and with fewer mobility issues later in life.